Sails washed and stored each winter. Handheld VHF DSC available under separate negotiation. Benefiting from a 2017 good Survey, she is deceptively spacious and well laid out and equipped for effective sailing. She has been well looked after coming out each winter, and has been regularly upgraded over the years, with a Copper Coat to the Hull applied in 2015 which should give several more years protection. A very good example indeed, and an ideal Yacht for a couple or family just starting just starting out sailing. Just gone back in the water in March 2018 after a clean and ready to sail away for the 2018 season. 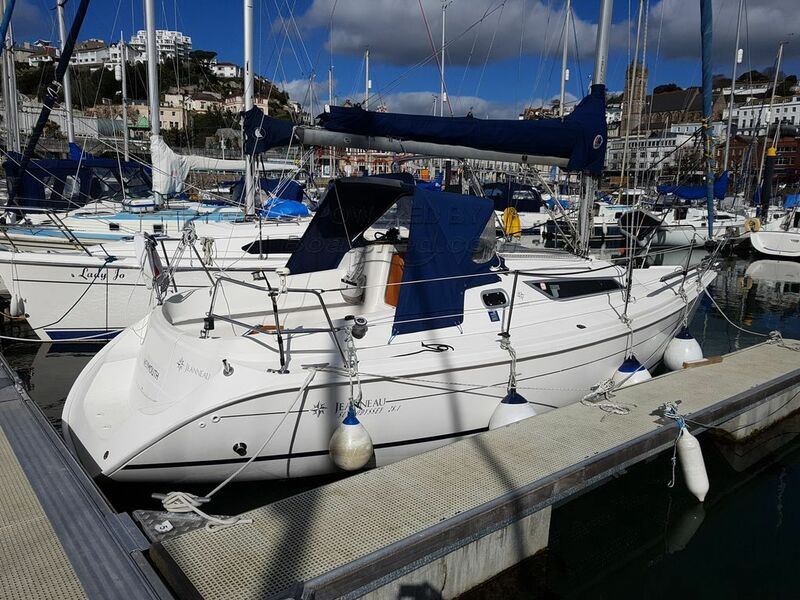 This Jeanneau Sun Odyssey 28.1 has been personally photographed and viewed by Phil Key of Boatshed Torquay. Click here for contact details.